Kazan – town of myths and legends | Where to?! / А сега накъде?! Well, for Kazan, I just couldn’t help it, I just had a good feeling about it… and it not only didn’t disappoint me, but turned out to be a great place. Where to start?! Obviously my origins have played their role, the same origins that the Tatars have… Here was the territory of Volga Bulgaria where the Bulgars settled and became the dominant population at the end of the 9th century, uniting other tribes of different origin which lived in the area. Some Bulgar tribes, however, continued westward and eventually settled along the Danube River, in what is now known as Bulgaria proper, where they created a confederation with the Slavs, adopting the Eastern Orthodox faith. The history has changed us a lot and today we may be a different mixture of languages, religion and traditions, but I felt the connection right away, proved by the warm welcome of the people I met in Kazan. You can find and read more about the modern city and its history, so I will only share my personal impressions, because this will be the main reason for me to return one day in Kazan. My first impression was that the city was just rebuilt… everything was clean, new, wide routes, big buildings, flowers and green parks everywhere, full of active people that are cycling, canoeing or just relaxing on the riverbanks . This is mainly due to the 27th Summer Universiade that was held in Kazan. Its mission: to continue Russian sport traditions (and here they are really visible); to make the life of Kazan citizens more diverse, interesting and convenient, give them the possibility to play any kind of sport they like, to live a healthy life. And I can say they have succeeded. 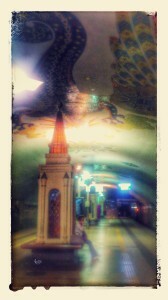 Second impression: not a tourist city (which will surely change soon). Regardless of the UNESCO heritage site (Kazan Kremlin) and the beautiful city center the tourists are not so numerous. 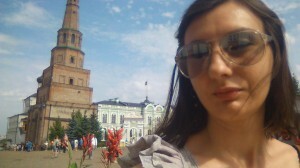 It is after all, the biggest city and the capital of Tatarstan where its government and administration is concentrated. Nevertheless it is a magical town, full of legends and many unsolved mysteries. These are the stories about the origin of the city, its symbol — a snake ZILANT, the treasures of the lake Kaban of underground passages under the Kremlin hill, about Queen Syuyumbike, about people and things. 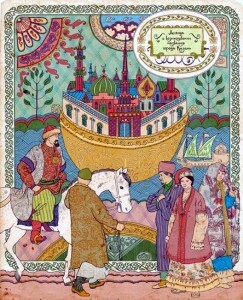 “Kazan holds great significance: it’s a meeting place of two worlds. which you can notice at every crossroad.